Outside of making comics, Sarah and Tara are affiliates on Twitch! Together they stream games and their creative endeavors on Sunday, Tuesday, and Friday! 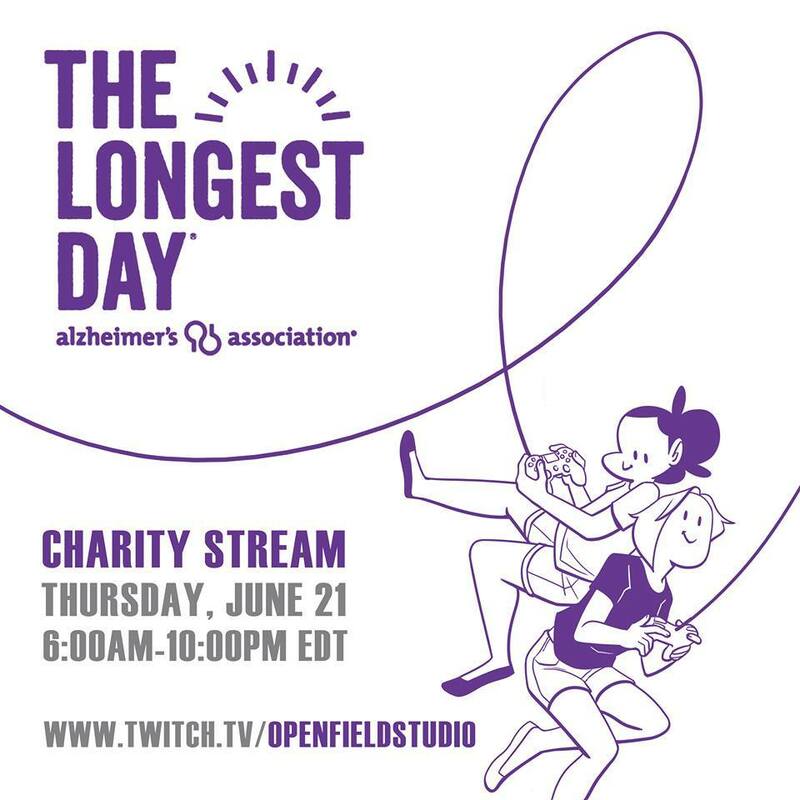 On July 21st, 2018, Open Field Studio participated in the Alzheimer's Associations event, The Longest Day. We streamed for 16 hours with a team of close friends. Together we raised $1720! We would like to continue supporting this and other causes in the future. Follow us on twitch to learn of more of our charity events!